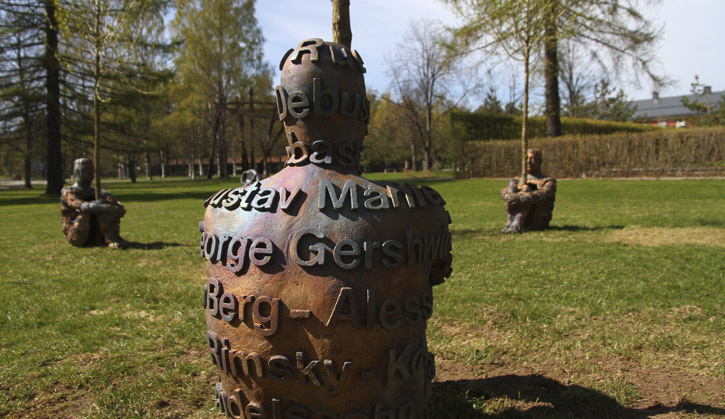 Umedalen Skulpturpark is one of Europe’s most prominent sculpture parks, located in Umeå, in the Umedalen area. Umedalen was built in the 1930s as a mental hospital area, but was phased out and sold by Västerbotten County Council in 1987 to real estate company Balticgruppen. Thanks to the art project Umedalen Skulptur, the Umedalen park today is one of the county’s main tourist attractions with over 20,000 visitors each summer. What makes Umedalen Skulptur unique is above all the artwork in the collection. The work of the prominent sculptors which forms the collection is usually presented to visitors in highly guarded international museum and biennials contexts, not as part of a park which also gives space to kindergartens, libraries, pharmacies and northern pines.